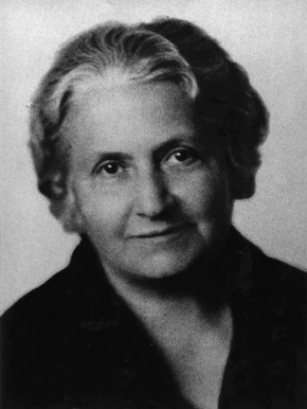 Dr. Maria Montessori developed a broad view of education. She viewed education not as the acquisition of information, but rather as the cultivation of the child’s natural desire to learn. Her vision of education was as an “aid to life.” The Montessori Method is a comprehensive educational approach that focuses on the development of the human being to his/her fullest potential. Ours is a program based on self-direction, non-competitive and cooperative activities that help a child develop a strong self-image, high levels of academic and social competence, and the confidence to face challenges with optimism. Encouraged to make decisions from an early age, Montessori educated children are problem solvers who can make appropriate choices, manage their time and work well with others. They exchange ideas and discuss work freely. These positive communication skills build the foundation or negotiating new settings. The Montessori Method is devised from observations of children at different stages of their development and from Montessori’s exposure to children of different cultures. From these observations of children Montessori identified what she saw was common in all children as “universal characteristics of childhood.” These commonalities existed despite differences in intelligence, learning styles, culture, and background. One of the hallmarks of Montessori education is that children of mixed ages work together in the same class. Under the guidance of an adult, the children are given opportunities to engage in spontaneous, purposeful activities. Children progress socially and intellectually at their own pace in a multi-age classroom. Cooperation rather than competition exists in an environment that mirrors familial groupings. Arranged on open shelves in the classroom, the children have access to manipulative materials specially designed for discovery and auto-education. These materials invite the children to engage in activities of their own choice. The children may choose an activity during the work/play time, a three-hour period, and work for as long as they like, returning it to the shelf when they are finished. Each material isolates one quality: the pink tower – size; the color tablets – color, for example. The materials interrelate and build upon each other. They encourage problem solving and analytical thinking. Children absorb many abstract concepts when using materials they can manipulate with their hands. Children work/play individually and in groups to discover and explore knowledge of the world, and to develop their maximum potential. The Montessori approach sets up a love of learning that the child can carry with her throughout life. The entire Montessori environment is designed to meet the natural drives of the child and satisfy them through the child’s own activity. In Montessori schools, children have fun while they learn, respect and care for the people and things around them, and take responsibility for their actions. This is true preparation for life. This is just the beginning of Montessori. We encourage and welcome families to join us for an open house, school tour or to schedule an observation of a classroom.